Like most makeup lovers I know, I had a time when false lashes weren’t my cup of tea. The first time I tried wearing them was when I was 16 and going to a Christmas party. I had no clue what I was doing—the lashes were irritating my eyes, and I often felt like they were cutting my lids. I decided from then on I’d leave false lashes alone. I’ve since learned that the problem wasn’t the false lashes—it was me applying them incorrectly. Thankfully, I know better now, and can’t wait to add dramatic lashes to my holiday looks. There’s nothing better to top off a serious NYE glam than popping on some killer false lashes. During the holiday season, it’s perfectly acceptable to be a bit extra, and what’s more extra than adding some flare to your eyes? Applying false lashes may not be an easy task, but it gets easier with practice. 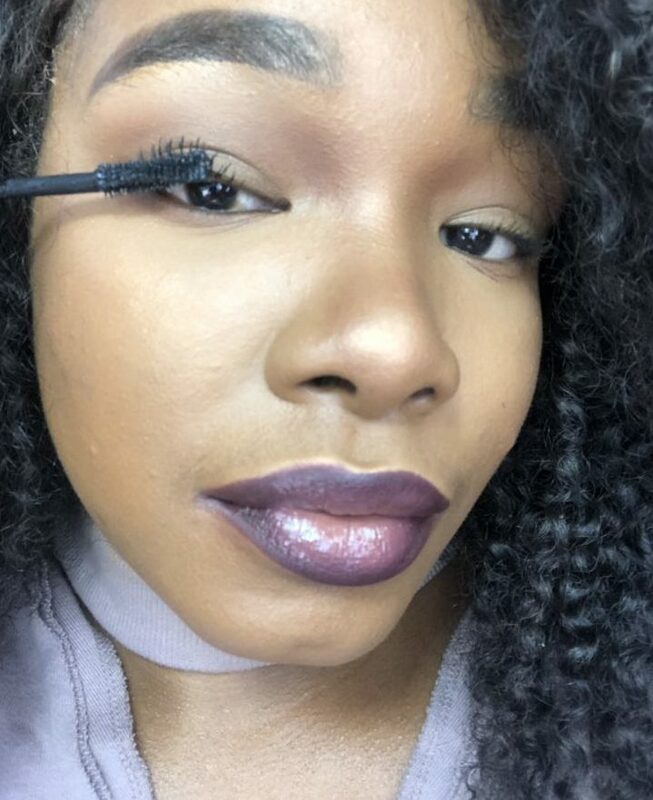 If you’re looking to add lashes to all of your holiday makeup looks, here are 9 hacks that will help make your false lash application flawless. The ideal pair of false lashes should look hair-like, feel lightweight, and not irritate or scratch your lids. Any false lash that doesn’t meet these requirements can make wearing false lashes uncomfortable. 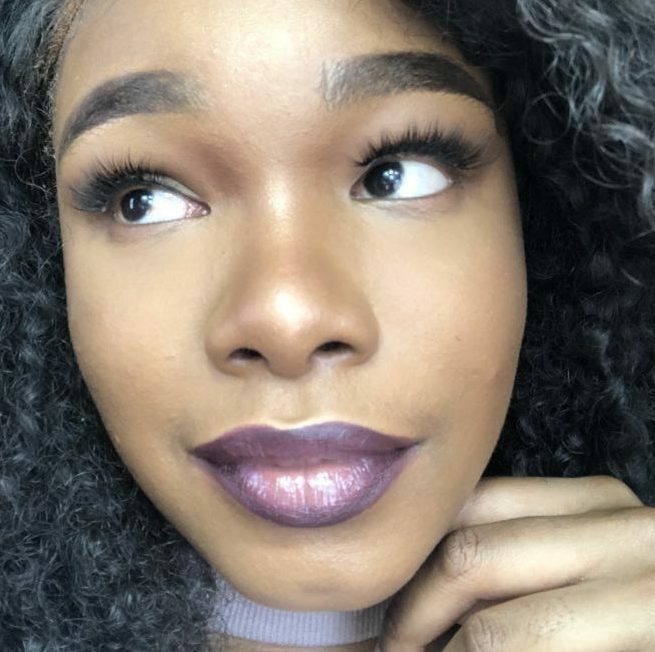 Buying quality false lashes doesn’t mean spending a ton of money, either. My current go-to lashes are from Lavaa Lashes The Perfect Set in the style “Belucci”. 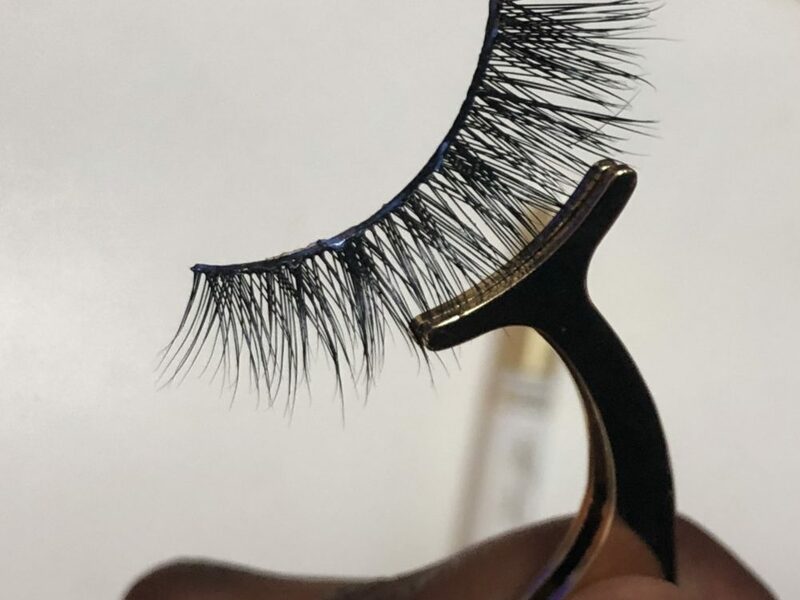 These faux mink lashes are reusable up to 15 times. 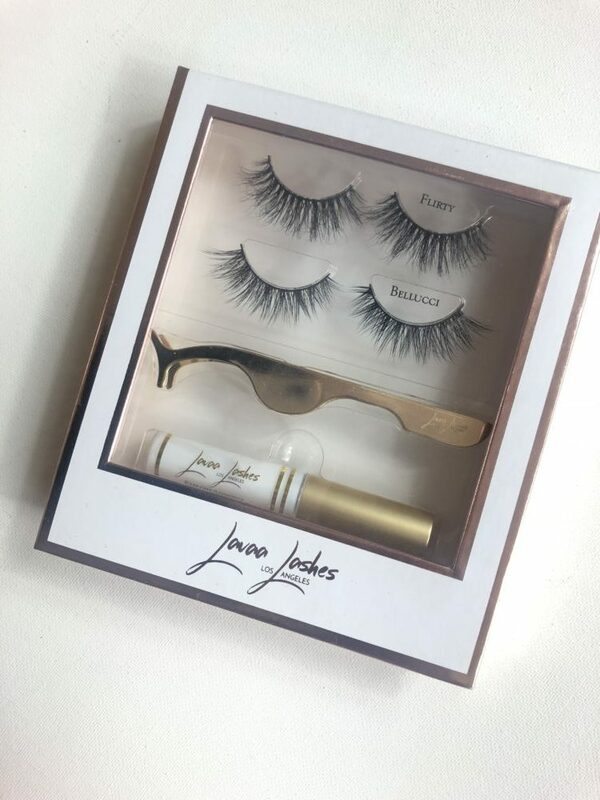 This set also comes with a pair of mink lashes in the style Flirty (reusable up to 30 times), a lash applicator, and lash glue. Sidebar: Cardi B has been spotted wearing the style Flirty, and whatever’s good enough for Cardi is good enough for me. Adding false lashes should be the last step of your makeup look. Besides a touch or liner or mascara to blend your natural lashes into the false lashes (if needed), you shouldn’t be adding additional makeup that can ruin your false lashes. Most lashes can be reused so make sure you get your money’s worth by taking care of them. There may be times when false lashes fit perfectly out of the pack. However, most lashes are a bit too wide and need to be cut. If you find your false lashes of choice are too large for your eyes, trim them by cutting some of the lash from the outermost part of the strip. Cut a little at a time until they are the perfect size. The ideal false lash glue should have a strong hold and shouldn’t irritate your eyes. You’d hate to have your lashes either lose grip throughout the course of the day or cause an allergic reaction. It may take some time to find your preferred lash glue, but it’ll be worth it in the long run. Some good ones are Callas Eyelash Adhesive and Duo Brush On glue. Some people like tweezers while others prefer false lash applicators like the one above. Some even just use just their fingers. Go with whatever makes applying the false lashes least complicated for you. 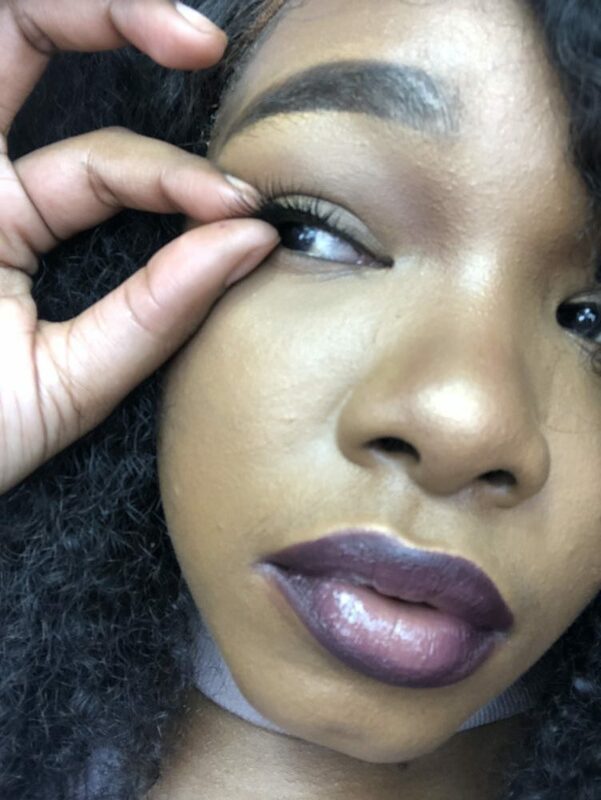 I recently been applying my lashes with this lash applicator from Lavaa Lashes, though sometimes I still use my fingers or a mix of the applicator and my fingers, depending on my mood. Placing tweezers close to my eyes makes me nervous so I just avoid using them. However, most lash wearers I know swear by tweezers. This is important for a number of reasons. For starters, a thick layer of glue will take more time to dry down, and you also run the risk of ruining your eye makeup with wet glue. Additionally, thin layers of glue are easier to peel off the lash band without destroying the false lash. This is probably the most important hack that most people totally miss. If you try applying a false lash with glue that is still wet, it’s not going to stick. This could be a bad move especially if you have on liner or eyeshadow, since the wet glue could possibly ruin it. If you’re impatient, using a blow dryer on a low setting can help speed up the process of getting the glue tacky. 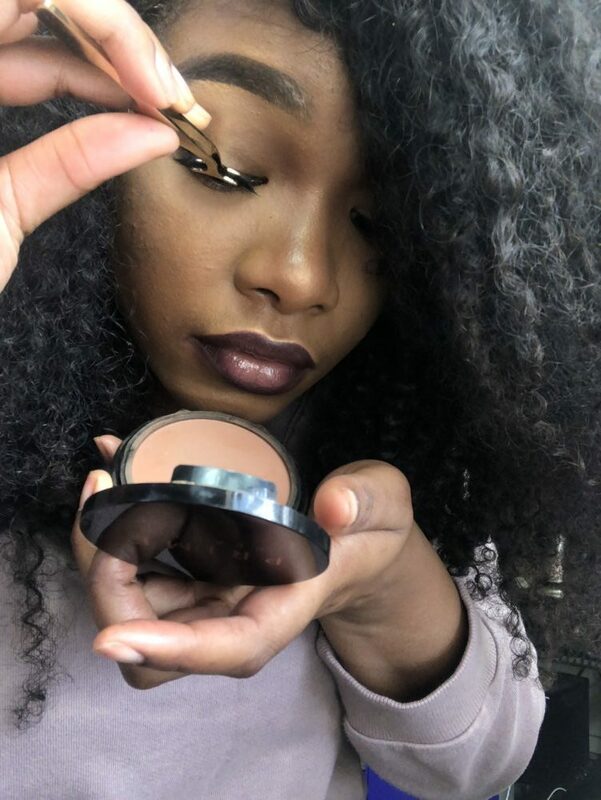 Looking down into a mirror helps give you a better view of your natural lash line and the placement of your false lashes. You’ll want to place the false lash as close as possible to your lash line and looking down into the mirror helps you do just that. Once you get the center down, applying the rest of the false lash will be 10 times easier. You won’t end up with a lash too close to the inner corner of your eye (which can be super uncomfortable) or too far past the outermost part of your eye (which will feel and look awkward). Place the center of the lash first and guide the edges thereafter. When you’ve gotten the lash fully on, press the false lash against your lash-line to ensure they’re as close as possible and secure. By practicing these easy hacks, you’ll become a false lash expert in no time.